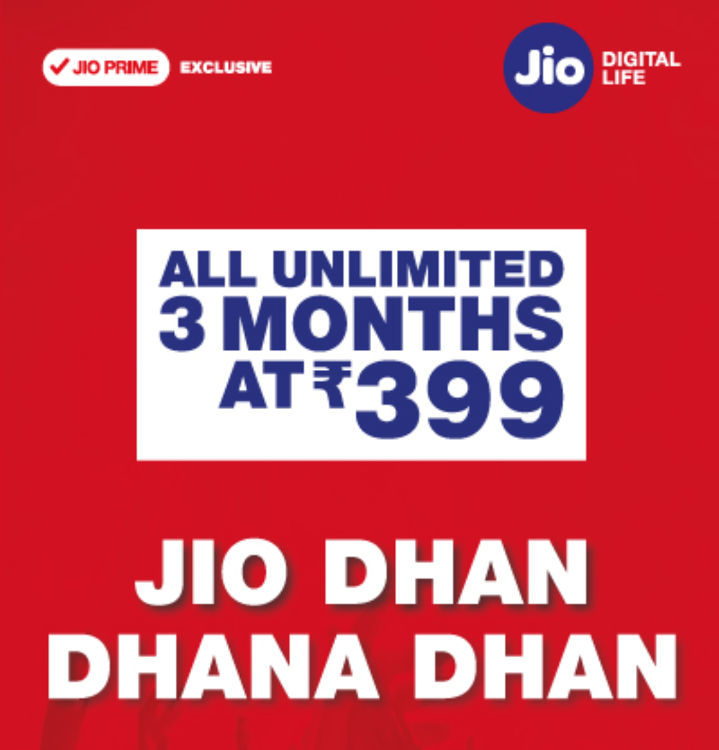 Reliance Jio first launched Summer Surprise Offer and days later it announced Dhan Dhana Dhan offer. Both the offers are about to expire and by the end of July, 2017, it would be over for most users who have recharged in early April. To continue to offer similar benefits, Reliance Jio revised its Prepaid Plans just yesterday i.e. 11th July 2017. Reliance introduced Jio 399 Plan offering Unlimited Data & Calling for 84 days and revised its Jio 309 Plan and Jio 509 Plan as well. We have listed all Jio Prepaid Plans below and bucketed them as per Usage preference of an Individual, some users are heavy users and want daily data, some do not use much data but they hate daily limit and some like just calling meaningful and do not care about data. Jio Prepaid Plans July 2017 – How to Recharge? You can install MyJio App from here and recharge with any Jio Prepaid Plan. For Online Recharging, visit Jio Website and Enter your Jio Number, select any Jio Prepaid Plan and proceed.